Hello! 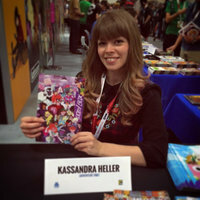 I'm Kassandra, an artist living in Los Angeles, California. I'm currently working at Disney as a background painter. In the past I've worked on other shows such as Clarence, Mighty Magiswords, Adventure Time and more!